MANY of us might associate Pondicherry with French culture, but there is also an Indian side to the city thata��s often unexplored. This is precisely what Pondy-based eco-tourism firm, Soulful Adventures, wants to change with the help of its newly-introduced series of walking toursa��covering lesser known gems of Pondya��s a�?Tamil quartera��, be it Goubert Market or Vysial Street (a UNESCO Heritage award-winning stretch popular for its Franco-Tamil vibe). Explaining why he came up with the idea, founder Prasanth Pearrio, says, a�?The Tamil locations have more attractions, hidden stories and cross cultural elements. Despite this, tourists, especially foreigners, show less interest in it. We want to change that.a�? Held every Saturday, the walks start from Indian Coffee House on Jawaharlal Nehru Street and wraps up with tea, sweets and savouries like pakoras at the Anantha Heritage Hotel on Perumal Street. 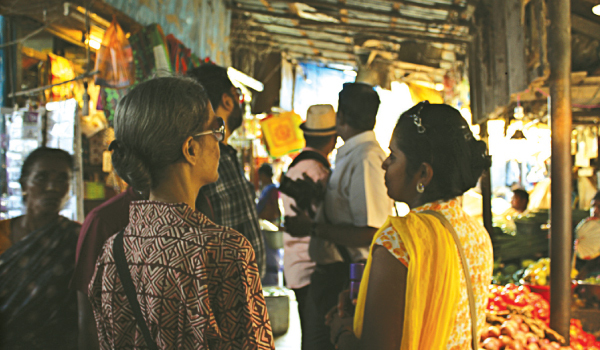 In between, a�?at the Goubert Market, the tour guide, C Arulmugil, will recount decades-old stories of trade, law and life in that areaa�?, Pearrio says, adding, a�?A highlight of the tour is a visit to the newly-restored Mahakavi Bharathiar Museum and Research Centre, where we discuss the works and poetry of Subramania Bharati, the acclaimed Tamil writer.a�? Besides these, there will be visits to Vedapureeswarer Temple and the Pondicherry central jail, plus an interaction with the artisans on pottersa�� street who will explain how they go about their trade.